Devon is heaven! 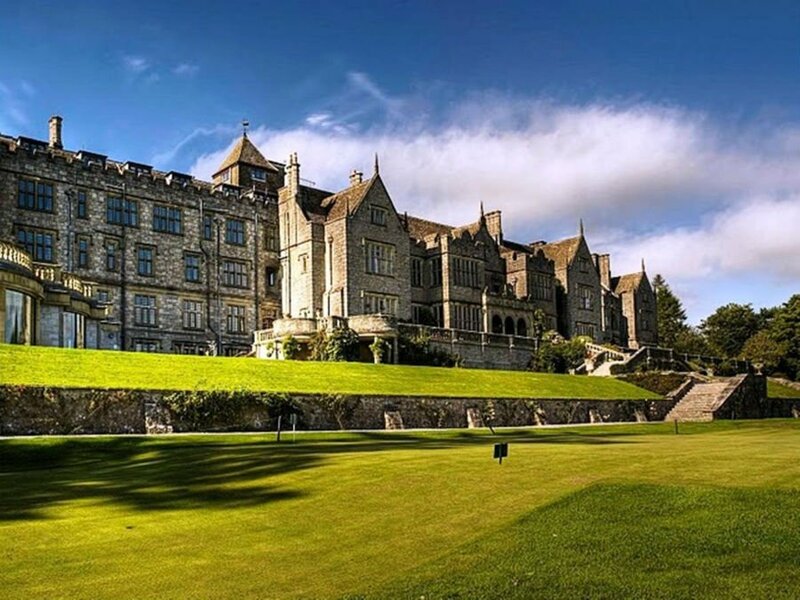 Beaches, green fields, country houses, gardens and tea rooms – what more could you ask for a holiday? Read on for a guide to the best places to stay with babies and toddlers in Devon including amazing baby and toddler friendly cottages, hotels and holiday parks in beautiful Devon. 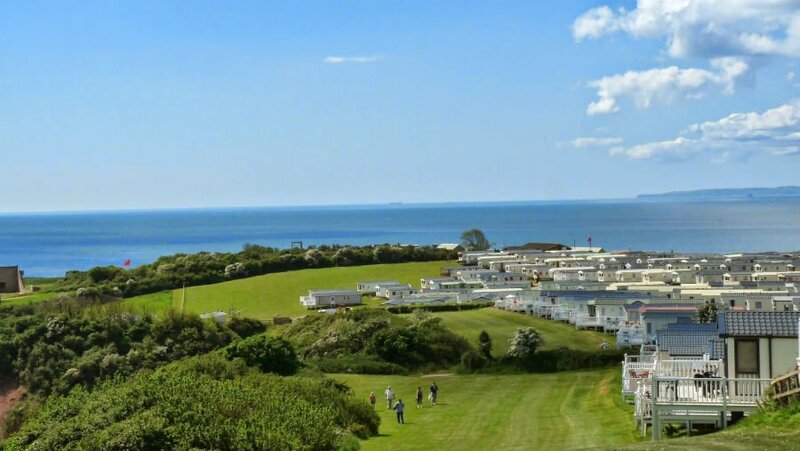 The Hoburne Devon Bay Holiday Park is in a cracking position within walking distance of Goodrington Sands, and a short hop from Paignton. Pennywell Zoo, Teignmouth, Salcombe, Brixham and Dartmoor National Park are also nearby. Toddlers will love the indoor and outdoor swimming pools, paddling pools, nature trail, indoor soft play area and outdoor adventure playground. There is also an entertainment complex, amusement arcade and Kids Clubs in the peak season. Sports fans will like the basketball and mini football area. Experience life on the farm at Knowle Farm in the heart of South Devon. Set in 44 acres of idyllic countryside, Knowle Farm is heaven for babies and toddlers who can drive cars on the toddler race track, meet the friendly farm animals or play to their heart’s content in the play barn. Plus, the cottages are just 30 minutes drive away from Devon’s famous sandy beaches. Relax and do as much or as little as you want at Flear Farm Cottages in the South Hams in Devon. Surrounded by beautiful beaches and countryside, these luxury holiday cottages are the ideal place to escape from the daily grind and spend quality family time together. With a heated indoor swimming pool, amazing play barn and 27 acres of countryside to explore, plus a Spa and Treatment Room for Mum and Dad, this is a special place where the whole family can have a break. Devon Cliffs Holiday Park is run by Haven and is a large park with loads to do for families with babies and toddlers whatever the weather. On sunny days the best place to go is the Blue Flag Sandy Bay beach which is directly accessible from the holiday park, or for a swim in the outdoor swimming pool. There are also 3 outdoor play areas and an indoor swimming pool with waterslides for rainy days. Devon Cliffs is also close to the Woodlands Family Theme Park at Dartmouth and Crealy Adventure Park. Accommodation is in comfortable caravans. There are fantastic activities for toddlers and pre-schoolers at Devon Cliffs including Learn To Scoot, Sensory Tots, Gym Tots, Go Tots (dancing) and Arty Tots. 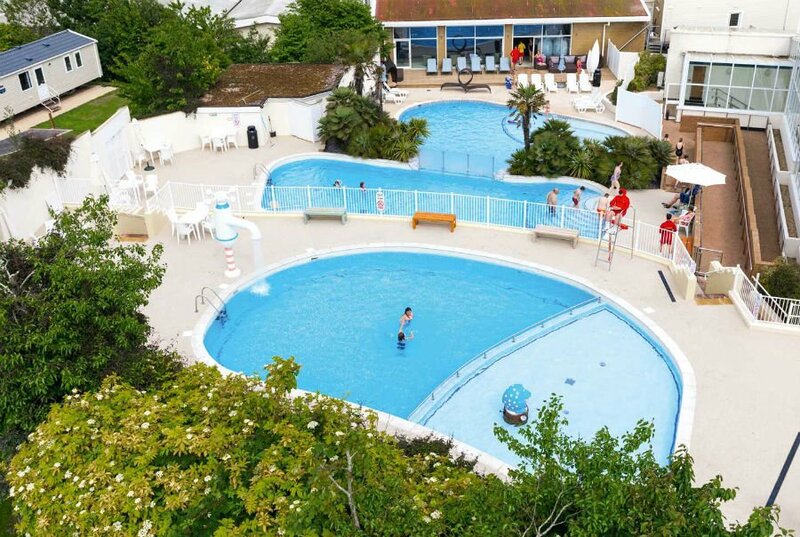 The Golden Sands Holiday Park is an ideal choice if you are looking for a bustling holiday park in Devon with loads to do for babies and toddlers. 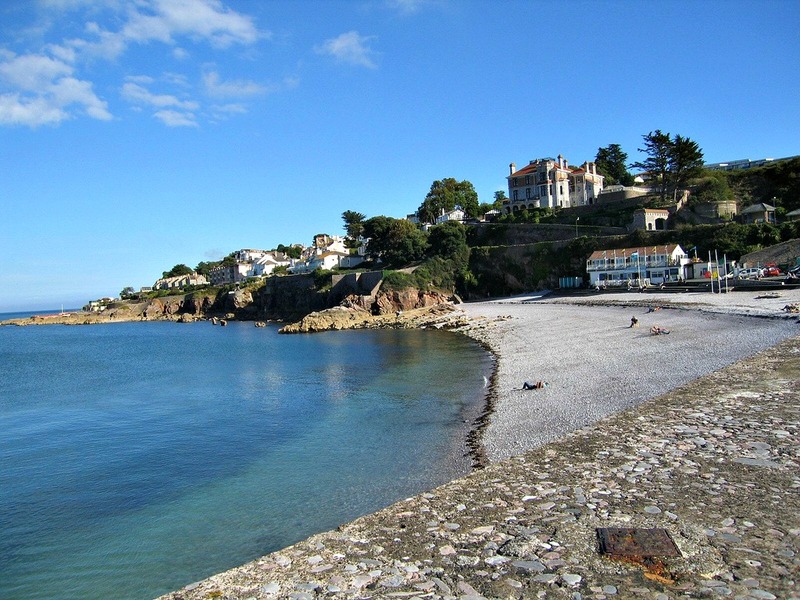 It is located in the seaside town of Dawlish Warren, and is close to the beach, shops and restaurants. The park has a refurbished indoor and outdoor swimming pool, an Adventure Playground and a packed entertainment schedule with evening shows. There is a range of caravan accommodation to suit all budget and family sizes. 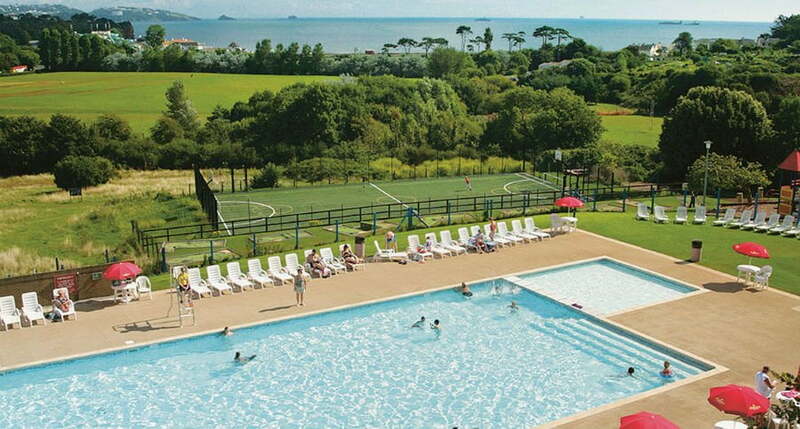 Oakdown Holiday Park is a 5* holiday park close to the beach at Sidmouth and the Jurassic Coast in Devon. As well as touring and caravan pitches, they also have cozy Premier Pods and Shepherd Huts to provide families with the ultimate glamping experience. Toddlers will love the large playground onsite and parents will love the amazing Coffee Lounge which is open from 8.30am to 6pm serving full English breakfasts, pastries and cereals, and amazing milkshakes! Just up the road from Oakdown is a holiday sanctuary where little ones can stroke and groom the donkeys. The seaside resort of Sidmouth is just 3 miles away too. 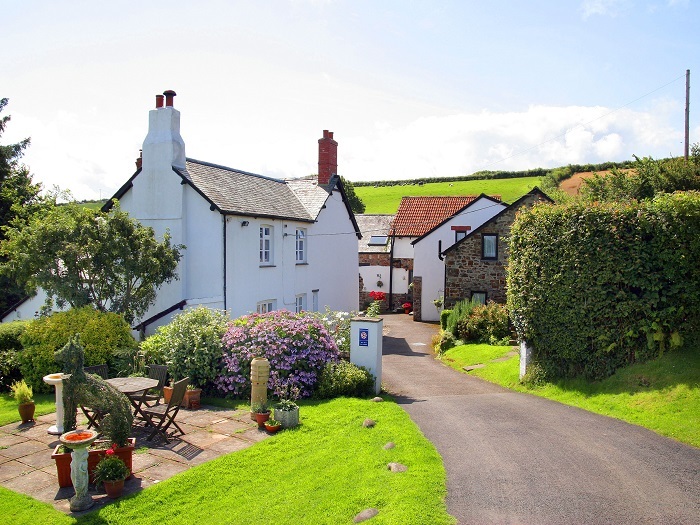 These popular holiday cottages are in a beautiful rural setting in the Devon countryside. The cottages are furnished to a high standard and each one has it’s own enclosed garden, patio and BBQ. There is a lovely indoor pool heated to a toasty 30 degrees, where babies and toddlers can learn to swim with a private ASA registered instructor. As well as the pool, there is a hot tub and games room with toys suitable for babies all the way up to big kids! Outside there is a little play house, climbing frame, slide, swingball and football net. Robin Hill Farm Cottages are near to a couple of sandy beaches and some great all weather attractions including the Big Sheep and the newly extended Milky Way which is a brilliant soft play centre. Compton Pool Farm has 11 luxury holiday cottages set in 14 acres of grounds. Babies and toddlers will love holidays here as there is an indoor swimming pool, games barn, children’s play area and loads of space to run around in. There is also an orchard with some goats, pot bellied pigs and Pennywell Farm pigs – a firm favourite with young children! For parents, there is an all-weather tennis court, fishing lake, gym and WIFI in all the cottages. Compton Pool Farm is located just 15 minutes away from the seaside town of Torquay. These 4* and 5* baby and toddler friendly cottages are set in the Devon countryside close to the beaches and also to Exmoor and Dartmoor. They are ideal for holidays with babies and toddlers. As well as 8 acres of grassland to run around in, there are alpacas, goats, ponies, donkeys and ducks to feed with Farmer Simon. There is also an indoor play barn and an outdoor play area with a farm themed baby and toddler zone with a pretend farm shop, pony spring rider and a Birchill Farm tractor playframe! There is also a box of toys in each cottage for the children to play with and a library of children’s books to use during your stay. 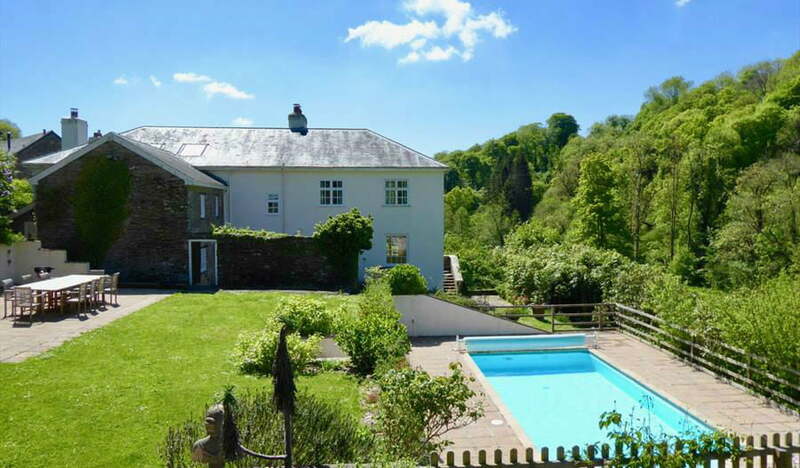 Mazzard Farm is a cluster of 6 luxury cottages near to St Ottery in East Devon. The cottages are very popular with families and get a high percentage of repeat visitors. The cottages are furnished to a very high standard with high quality beds, kitchens and bathrooms throughout. Outside there are 2 children’s play areas with a trampoline, sandpit, climbing frame and pirate castle. There are 17 acres of grounds to explore and bikes to rent including child seats and tag alongs. There various BBQs situated throughout the grounds for a bit of al fresco dining . Libbear Barton caught my eye due to the sheer range of facilities and equipment they provide for babies and toddlers staying in their 3 self catering cottages in North Devon. As well as the ‘normal’ equipment such as cots and highchairs, they also have extras such strollers with parasols, rain covers and cozy toes available for guests to borrow. The cottages at Libbear Barton are individually furnished and are set in beautiful surroundings near the North Devon coast. 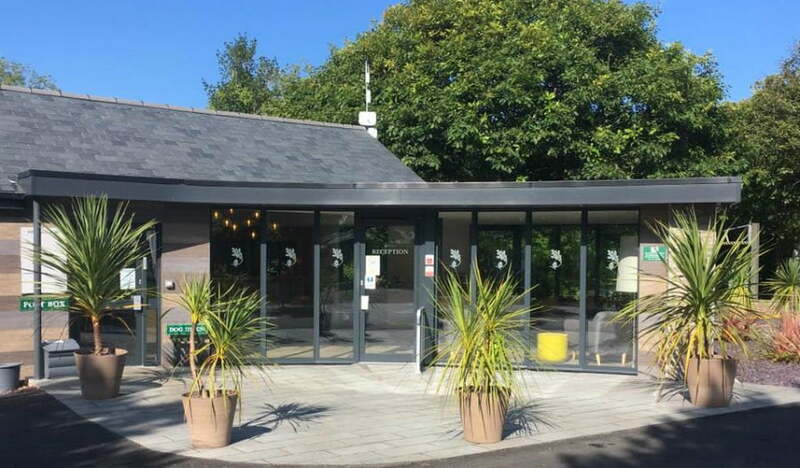 There are loads of facilities for babies and toddlers such as an indoor pool, sauna, gym, games room, soft play area, adventure playground and DVD library. There is a woodland with a badger hide, fishing lake and BBQs set throughout the grounds. If your toddler is learning to ride a bike, he / she can practice on the trainer bikes (with helmets and pads) available to borrow! Finally, I was impressed with the emphasis that Libbear Barton place on regularly replacing their baby and toddler equipment so it is all in pristine condition. North Hayne Farm Cottages are award winning farm buildings set in a secluded dell in North Cornwall. Each cottage has their own private tub and patio and are called wonderful names such as Squirrel Nutkin Cottage and Peter Rabbit Cottage! If you stay at North Hayne in the spring, your little one can help bottle feed the spring lambs or take them for a little walk! Collecting fresh eggs is all year round activity as are free donkey rides. There is a playbarn for babies and toddlers and a games room and a babysitting service and holistic treatments for adults. ‘We achieved the impossible, a luxurious, restful holiday with a baby in tow’ – this is just one of the comments from previous guests of West Charleton Grange. These stylish stone cottages combine luxury at the same time as being baby and toddler friendly. The cottages are beautifully appointed with loads of small touches to make babies and toddlers feel at home including miniature chairs, children’s books and toddler cutlery. Outside there is climbing frame, small bikes, wooden wendy house and John Deere tractors to play on. There is even a heated indoor swimming pool for water babies to enjoy. This large farmhouse cottage is great for holidays with grandparents or other families. There are 5 bedrooms, 2 bathrooms and 4 receptions rooms so there is plenty of space to run around in. There are exposed stone walls which give the cottage bags of character. The cottage has its own private gardens with a separate playing field with football goal posts and cricket stumps. There are 2 resident donkeys and a flock of hens which supply fresh eggs. The cottage is near the Tarka Trail so there are plenty of opportunities to go cycling whilst you are there. 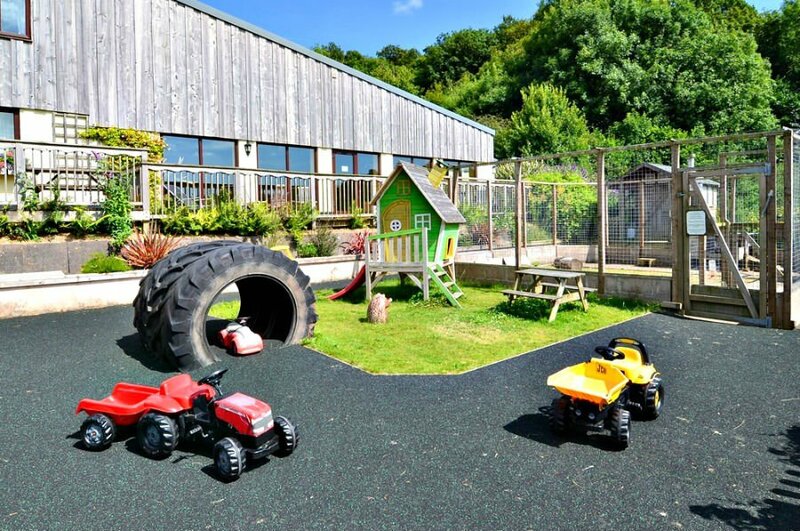 These 2 award winning family friendly cottages are situated on a working farm in North Devon. Young animal lovers will love staying here as the cottages are set in the middle of the farmyard surrounded by chickens, ducks, cats, donkey’s, horses and ponies! Babies and toddlers will be able to ride the ponies, swim in the onsite swimming pool and play in the outdoor play area to their heart’s content. See if you can find the animals on the Farm Animal Hunt and Scavenger Hunt to win a prize or check out the books in the children’s book library. The little extras make the difference at North Bradbury Farm. Guests are treat to a Devon Cream Tea when they arrive and there is an onsite farm shop serving home made and locally produced food so you don’t have to venture too far for food. You can even have a ‘night out’ but taking advantage of the babysitting service of having an evening meal served in the farmhouse dining room (with baby monitor distance). 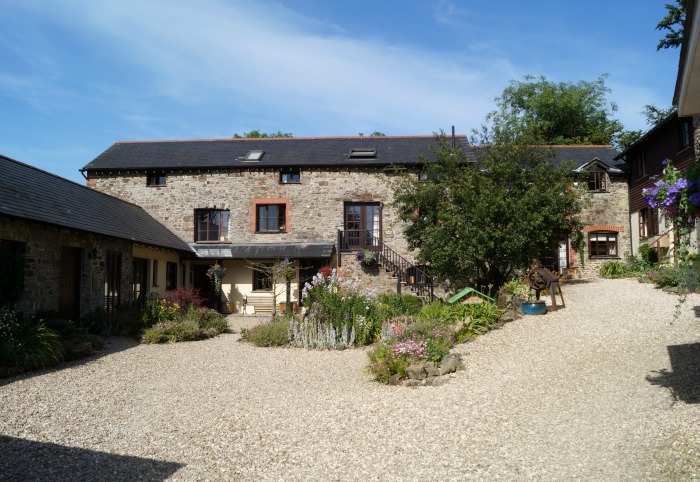 Belsford Court Cottages are situated in South Devon close to Totnes, and attractions such as the Totnes Steam Railway, Rare Breeds Farm and Woodlands Family Theme Park. Babies and toddlers will love splashing about in the stream which runs through the property looking for shrimps and frogs, and feeding some of the animals which live at Belsford Court. There are also 2 resident guinea pigs which love being fed dandelions! There is an indoor swimming pool, a toddler play area, sandpit and field to run around in outside. These award winning 4* Victorian self catering cottages are situated in a peaceful valley in an Area of Outstanding Natural Beauty between Dartmouth and Salcombe. They are less than a mile from the South West Coastpath and Beesands village with its lovely beach and gastro pub serving locally sourced food. There is loads of baby equipment to borrow free of charge and a dedicated under 10s outdoor play area comprising of a swing, slide, sandpit and fenced off wildlife pond. These cottages are close to the sandy beaches of Croyde and Saunton as well as the Tarka Cycling Trail. These recently refurbished cottages have loads of baby and toddler equipment available to borrow including high quality wooden cots, and each one has a full size bath with a non slip bath mat. There are plenty of toys for babies and toddlers to play with at Willowfield Lake including books, crayons, a dolls pram, ride ons and trikes. There is also an indoor swimming pool with baby change facilities. These 9 cottages are set around a cobbled yard in North Devon. They have loads of facilities for babies and toddlers including an equestrian centre where your little one can learn to ride! Libby is the resident riding teacher who can give private lessons in the all weather arena, or experienced riders may choose to go out for a hack around the North Devon countryside. 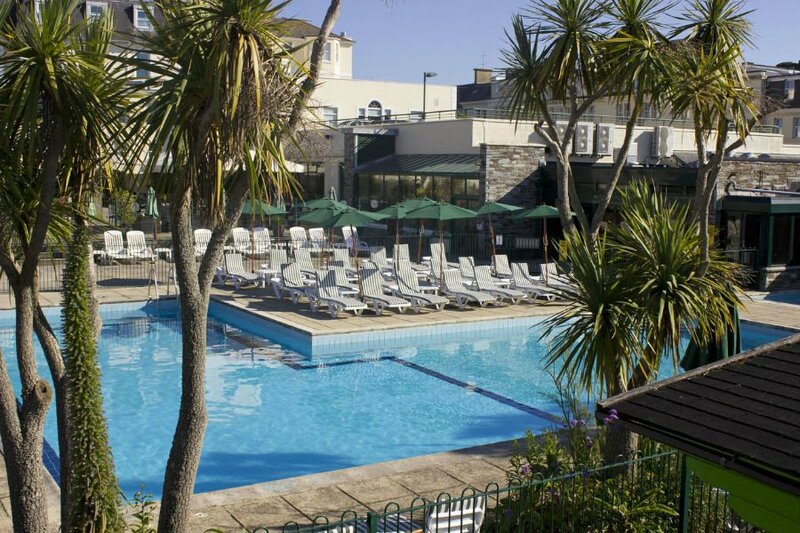 There is also a heated outdoor swimming pool which is open throughout the summer. Pets are welcome at Collacot Farm Cottages too. 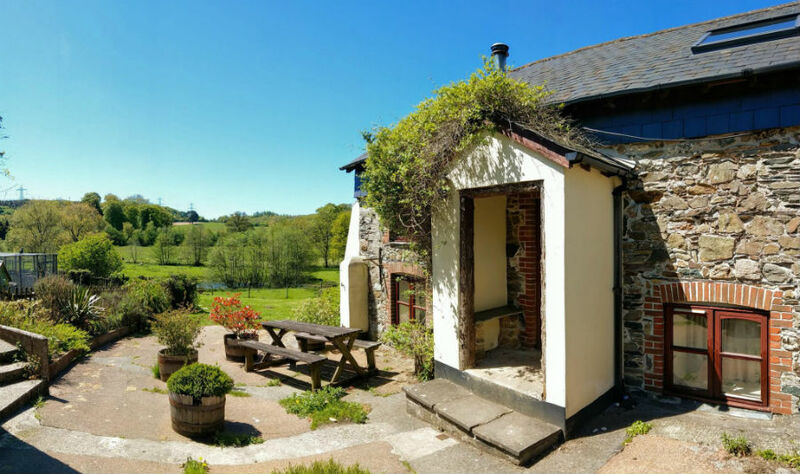 Bolberry Farm Cottages are in an enviable location a short walk from the fishing village of Hope Cove and its beaches, and a short drive from Salcombe and Kingsbridge. They are 0.5m from the clifftops of Bolberry Down and there are lovely walks available straight from the cottage. The cottages are baby and toddler friendly with private enclosed gardens, cots, stairgates, children’s DVDS and highchairs all included. 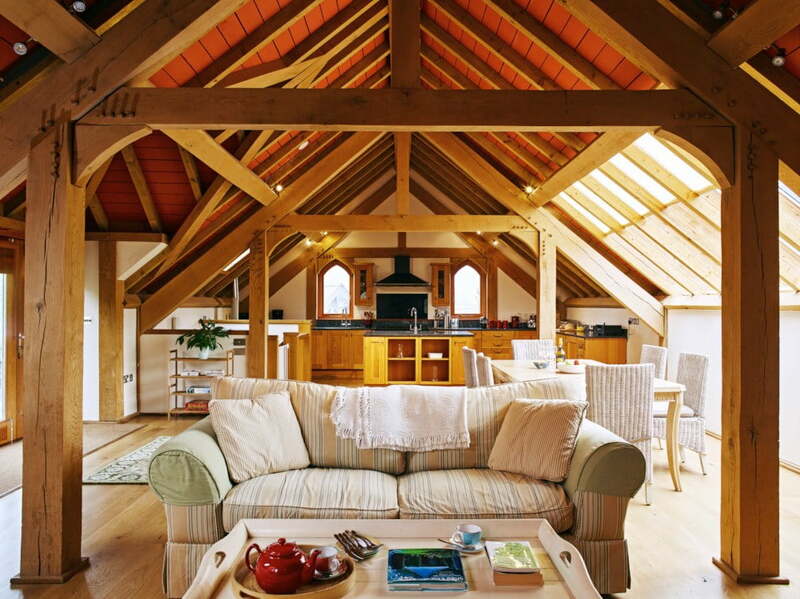 The Old Shippon is a luxury 3 bedroom baby and toddler friendly cottage in Devon. A baby pack of travel cot, highchair, stair gate and baby monitor is provided upon arrival. There are donkeys, cows and horses on site and even an Owl Cam where you can see what the resident owls are up to! The cottage is next to the Dunsdon National Nature Reserve so you can go on a mini beast hunt whilst you are staying there! Other local attractions include the Alpaca Farm and the Big Sheep. Wheatland Farm has 4 sustainable self catering lodges and 1 cottage in 21 acres of beautiful Devon countryside. There is a treehouse to play in as well as lots of lush woodland, a pond and a swimming pool. You can bring your own bike or borrow reclaimed bikes during your stay and explore the Tarka Trail. Torridge House has 10 baby and toddler friendly cottages situated around a green with loads of space for playing out. They provide a raft of baby and toddler equipment to guests such as full size cots, highchairs, stair gates, nursery bowls, plates and cups and children’s videos and DVDS. In addition there is a play room, games room, library, outdoor pool (with baby section) and loads of toddler toys to play with. Children can also take part in the animal feeding which is designed with young children in mind. The cottages are cozy with central heating newly fitted kitchens, and there are washing machines and tumble dryers in the free laundry. Can you recommend any other baby or toddler friendly cottages in Devon?